WISU-FM is an educational radio station that began in 1964. The station is licensed to Indiana State’s Board of Trustees by the Federal Communications Commission in Terre Haute, IN. The station is part of the university’s media program and is staffed by ISU students who are interested in the broadcasting field. To provide a significant and realistic broadcast experience to our students while simultaneously providing a unique, entertaining and informative broadcast service to our service area. The student-based station offers a variety of programs 24/7 including alternative rock, urban music, sports, news, and public affairs programming. WISU-FM Radio is student ran and provides music of all genres, news, sport updates, and local news all day, every day. The station gives students the opportunity to get hands-on experience in the field. TERRE HAUTE, IN. December 5th and 6th, 2013– WISU-FM Radio will be hosting a Music Marathon in the Commons during lunch for two days. To get into the Christmas Spirit, there will be a table set up playing music and giving away prizes on December 5th and 6th. The table will be set up from noon to two. You will be able to listen to music, request songs, win prizes, get more information on how to become a part of the student radio station, and will receive special inside information on upcoming events. For more information or to listen live anytime, visit the WISU Website at: http://www.indstate.edu/sycmedia/ or turn your radio dials over to 89.7 FM. 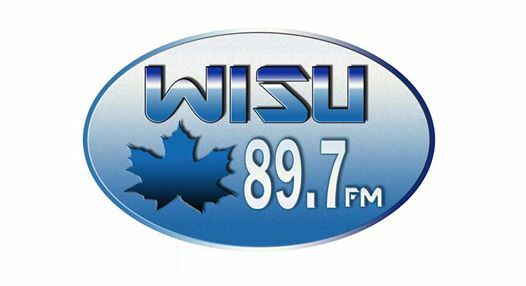 WISU-FM is an educational radio station that began in 1964. The station is licensed to Indiana State’s Board of Trustees by the Federal Communications Commission in Terre Haute, IN. The station is part of the university’s media program and is staffed by ISU students who are interested in the broadcasting field. The station offers a variety of programs including alternative rock and urban music, sports, news, and public affairs programming. Have you tuned in lately?